Dog Ear Publishing, 9781457508769, 160pp. 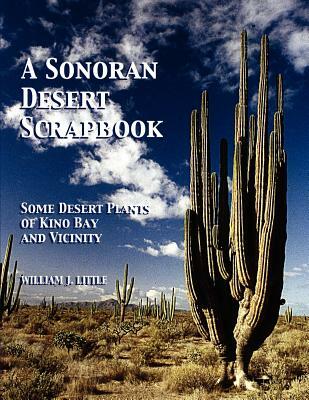 The author Bill Little introduces the reader to the seven divisions of the Sonoran Desert in Arizona, Sonora and Baja California, and then takes you on a tour to discover desert plants from Nogales to Kino Bay with side trips to Puerto Libertad and Tastiota - all in the state of Sonora. Along the way you'll see the weird, the exotic, the rare, and many other beautiful plants of this unique piece of the Sonoran Desert. Written in an easy-to-understand manner, the Sonoran Desert Scrapbook has close-up and general view color photos for each plant, a complete description, including flowering time, and a location where each plant can be seen. Sonora is also the ancient homeland of the Seri Indians, and this book covers the ethnobotany and supernatural beliefs of the Seri for many of the plants they used. The detail and photography in this book will be enjoyed by tourists as well as the more serious native plant enthusiast. William J. Little has a degree in Forest-Range Management from Colorado State University. During a thirty year career with the U.S. Forest Service, he worked in Oregon, Idaho, and Utah, serving as either a forester, forest ranger, or range specialist. After retiring from the Forest Service, he was a range and environmental consultant. Bill has now turned his attention to one of the more fascinating desert areas of the world and has spent the past fifteen years roaming the Sonoran Desert in Arizona, Sonora, and Baja California to study and photograph its unique variety of plants. The result is this guide to some of the most interesting and unusual plants found in the deserts lining the Sea of Cortes near Kino Bay, Sonora, Mexico.